Let The Grill cater your next event. 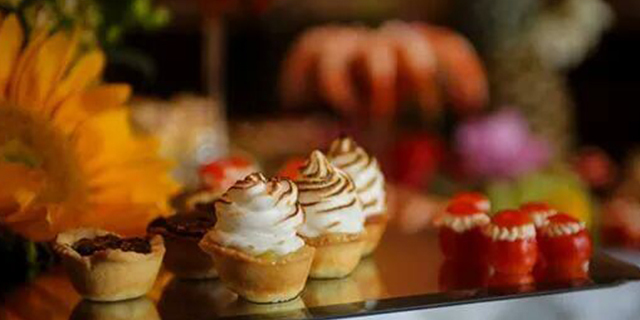 We’ll bring our expertise and gourmet touches to every bite, from boxed lunches to a dinner for 200. We make each event special. 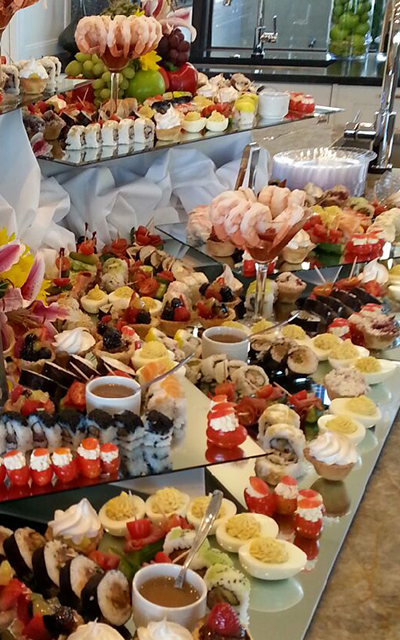 Our Catering Team takes your ideas to new heights of creativity and beauty. The Grill plans and beautifully executes parties for corporate and social events in Boerne, The Dominion, Leon Springs and all over San Antonio. We serve our guests beautifully prepared French-inspired, fresh-from-scratch food. From intimate cocktail and dinner parties to elegant weddings and fundraisers, let Chef Thierry Burkle's fabulous food delight you and your party. The Grill’s honored tradition of treating you with warm hospitality is reflected in every step of the catering process. The Grill at Leon Springs can do cocktail parties, fully catered sit-down dinners and buffets. You can choose from several hors d’oeuvres alone to multi-course seated meals. Our chef and manager are always on hand to be sure everything is done right. Contact us for pricing and details. Want something even more special? Try The Grill’s Exclusive Dinner with Master Chef Thierry Burkle. This is something extra special designed to enthrall your guests. You will be treated to a special 5-course, full-service dinner prepared in your home by Chef Thierry. This is something that cannot be matched. If you have hard to please people, or just want something over the top, try a meal cooked in your home by Master Chef Thierry Burkle. Spots are limited. Give as a gift to those special people or enjoy with your own family. The Grill at Leon Springs' Catering experiences are unmatched. Let us wow your guest and create for you a memorable event that your guest will be talking about for years to come! Looking for something simple but still flavorful and excellent for the palate? Try The Grill at Leon Springs trays or boxed lunches. Ideal for business lunches at your office or home, social events, or even a picnic. Minimum of 10 orders starting at $14.95 each. Please give us 24-hour notice.